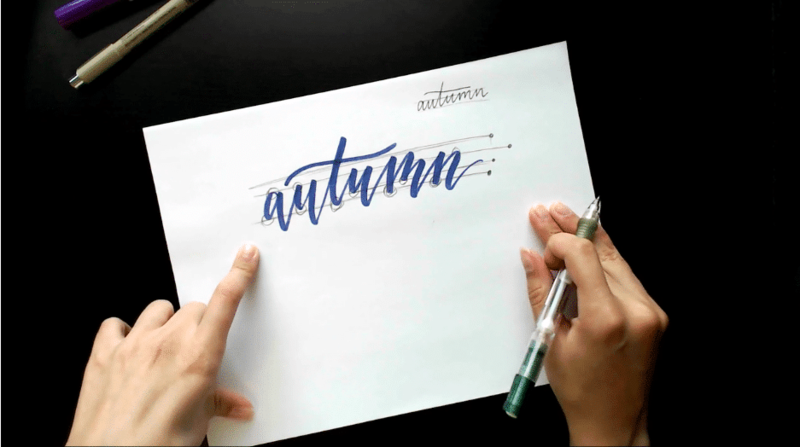 Learn brush lettering tricks and techniques while following along with an expert instructor. Go at your own pace and perfect your skill. Do you “ooh” and “ahh” at the gorgeous brush lettering on Instagram? 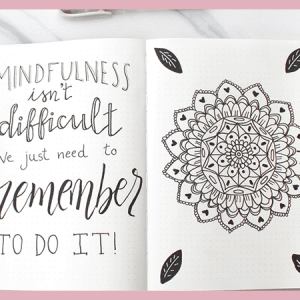 Have you tried brush lettering before? It doesn’t matter if you are brand new to the game or have some experience with brush pens. You can perfect your skills and learn new techniques by following along with an expert at your own pace. There’s no need to leave your house and attend a workshop. You can do it from the comfort of your desk or couch, or wherever. All the classes in this blog post are from my newfound obsession, Skillshare. I’ve posted about this community a lot lately; it’s mainly because I love it, and secondly because I’m an affiliate. A girl has to make money, right? There are so many good classes. I have hours and hours of classes lined up to watch, and not nearly enough hours to spend watching them. I could just put it on while I’m playing with the kids or writing a blog post, but to get the full benefit of these classes you have to be involved. You have to have supplies right there with you and work on projects. Every class has a class project and goal, so it’s important to give your full attention. Are these classes really Free? Yes! For the first two months, every class on Skillshare is completely FREE when you use my link. Two months is a lot of time to practice your skills and learn brush lettering or anything else. Want to learn photography, how to use Photoshop, how to cook or bake, or something related to sales marketing? There are endless classes! And they are always adding to their selection. 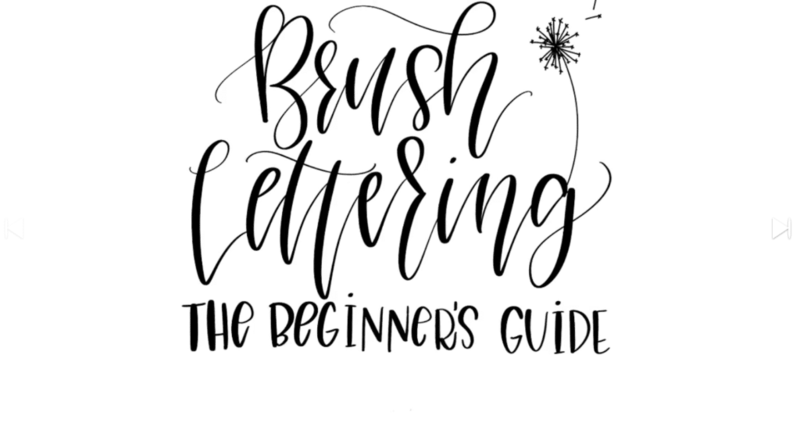 Peggy is an expert in Brush Lettering, and she starts with the most basic techniques you need to succeed. She shows you how to hold your brush pen and what movements to make with your hands before moving onto more advanced techniques such as bounce lettering and ombre effect. 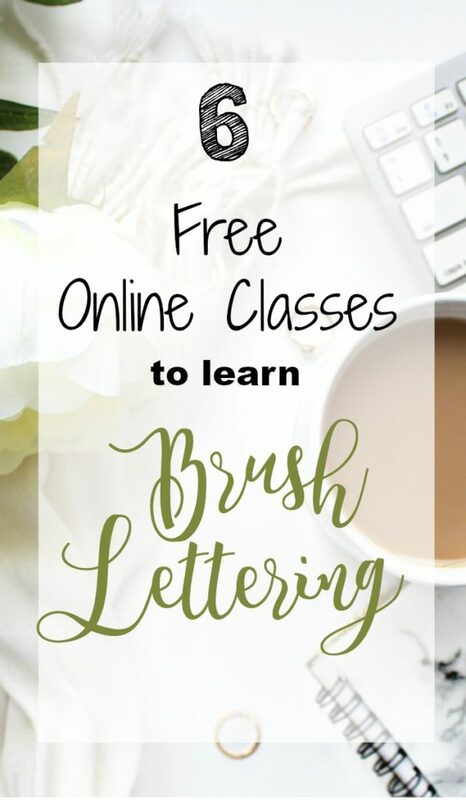 If you are just starting on your brush lettering journey, I highly recommend this class.
. But, if those are a little too expensive right now, or you just don’t want to invest in them yet, then Crayola markers are a great option. 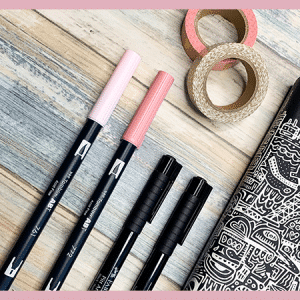 They’re super easy to find, much more affordable, and they can be used for beautiful brush lettering. You can even get the ombre effect with them! 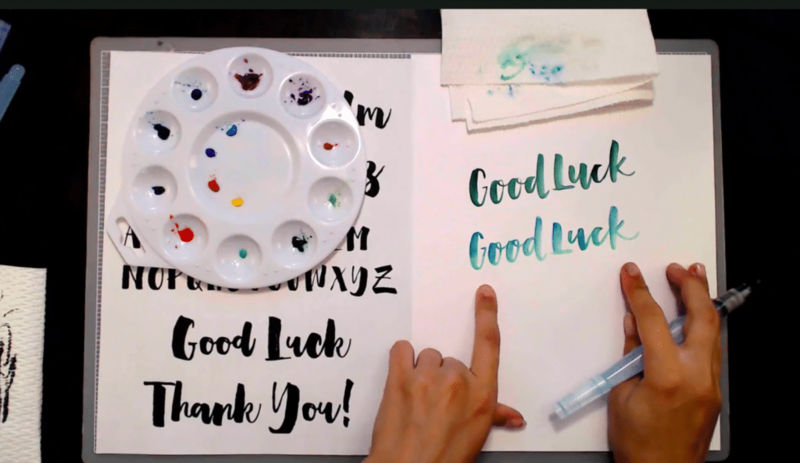 This class shows you exactly how to use Crayola markers to create beautiful brush lettering.
. The results are softer, smoothly blended colors. Teela is an artistic genius when it comes to waterbrush lettering and I love her teaching style. She teaches you the basics, as well as more advanced techniques. 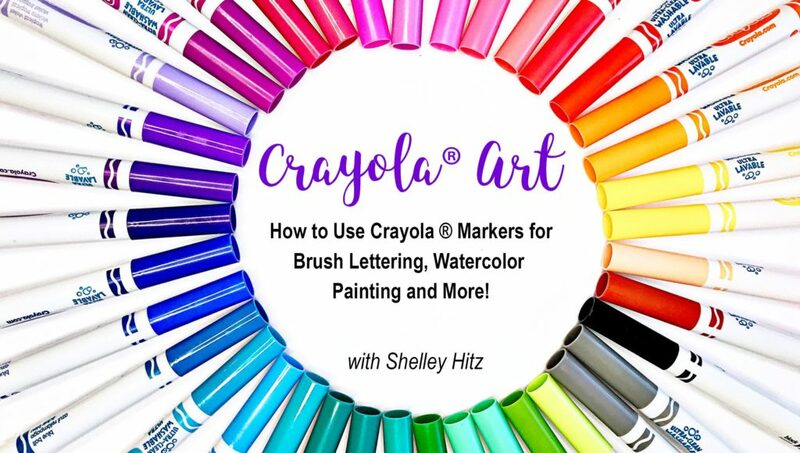 She includes step-by-step instructions for four different styles of brush lettering. There are 16 parts to this course, so it’s very in-depth and informative. This is a shorter class, sitting at 38 minutes. But in those 38 minutes, you will learn exactly how to add bounce to your brush lettering. I’ve read tons of blog posts and watched YouTube videos on bouncy lettering, and none of them compare to Teela’s explanation. She letters the word normally, then goes back over it to show you where you can add dips and peaks to your words. It’s incredibly easy and her explanation is so simple to follow along with.
. I don’t own an iPad Pro, but my mom does, and since finding Peggy’s courses on Skillshare, I’ve been spending some time at my mom’s playing on the iPad. It’s a totally different experience. But it’s relaxing and fun, and really makes you aware of your hand movements. 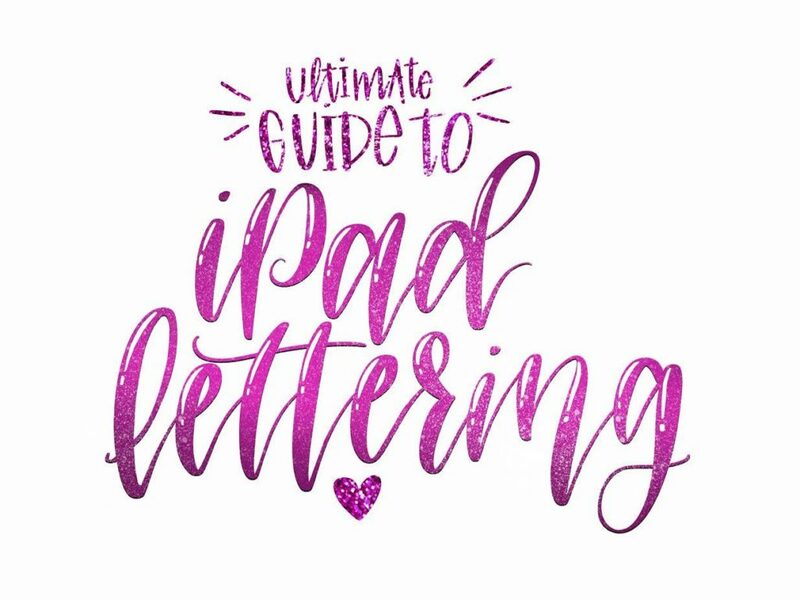 Peggy literally covers almost every aspect of Procreate (the program on the iPad), showing you how to do ombre effect, add glitter overlays, tracing your own designs, using mirror effects, and so much more. So, if you want to step-up your brush lettering game, this is the next step. This last course isn’t really brush lettering. But, I think it fits because I’ve talked to a lot of people who don’t feel comfortable or confident with brush lettering. So, I think it’s really important to have a backup plan and a system that works for everyone. 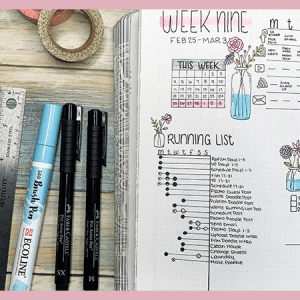 If you want to slowly transition into brush lettering, faux calligraphy is a great starter. 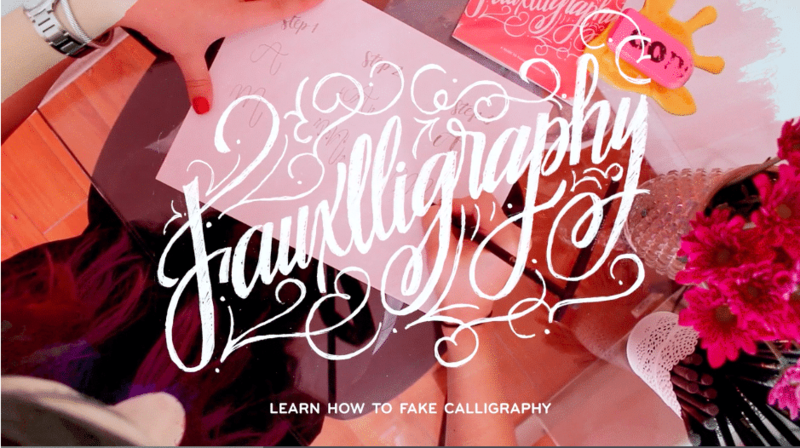 In this course, Andrea shows you how to successfully create beautiful faux calligraphy. 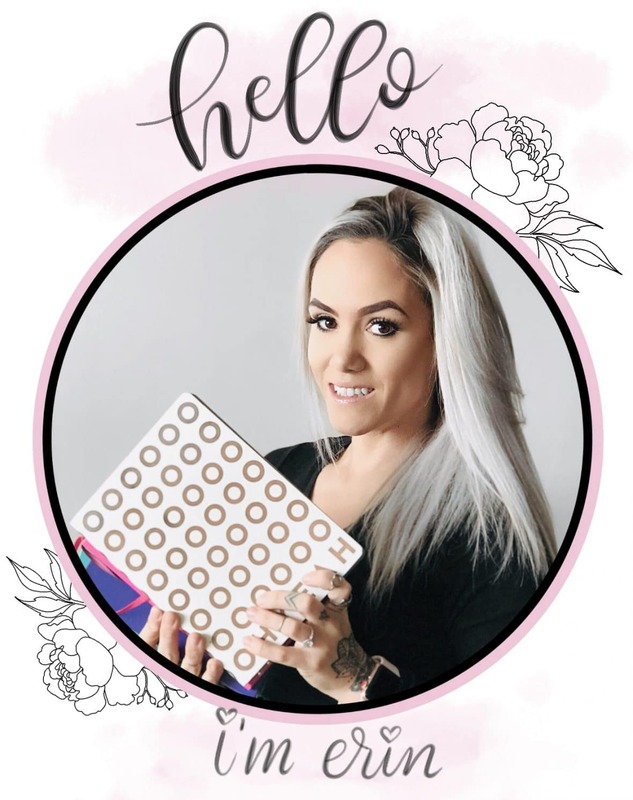 She walks you step-by-step through where to add thicker lines, how to space your words, and how to add some decoration to your letters. Are you going to try Skillshare? Are you already a member? 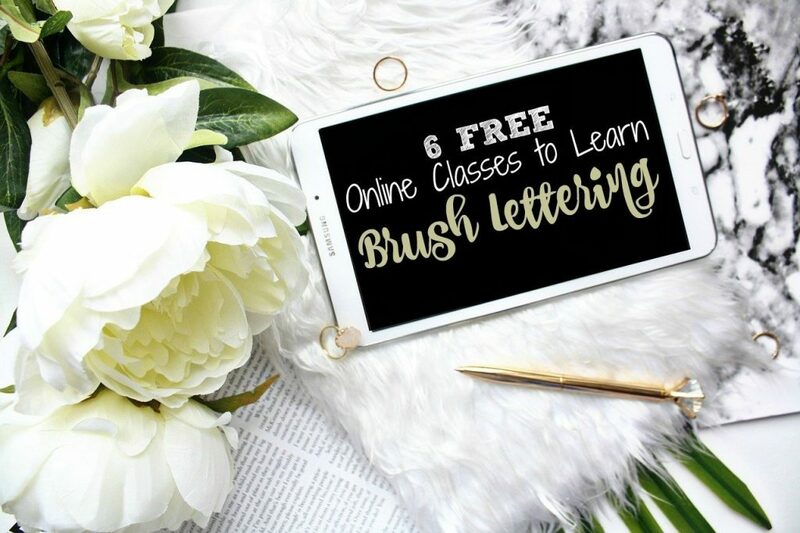 Try these free online classes to use brush lettering and then tell me which was your favorites in the comments below. If you found this post helpful, share it with a friend.